If you’re thinking about buying an investment property in Jacksonville, properties in foreclosure may have come to mind as a way to acquire affordable investment real estate. However, when many investors start looking into this method, they can often stumble. That’s where we come in. At Acumen Investments, LLC, we specialize in finding foreclosure houses in Jacksonville, and we even have some proprietary strategies that can get us access to foreclosure houses that others wouldn’t even know about! Then we work with the seller to invest in them… and we also go in after the seller is gone to clean up and fix up the property. 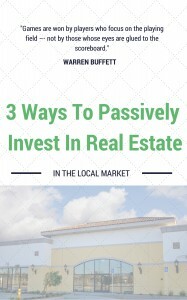 So if you’re an investor who wants to skip the hard work and get right to acquiring an investment property that you can start generating a return with, then why go through all the trouble of trying to find a foreclosure houses in Jacksonville by yourself? Work with a real estate investment company that specializes in foreclosure houses in Jacksonville for investors.